Kalpathi.S.Aghoram was unanimously elected as Vice President of the Tamil Nadu Cricket Association (TNCA) for the 7th consecutive year, during the 86th Annual General Body meeting (25.06.16) of the TNCA. This is for the 7th year that Kalpathi.S.Aghoram has been elected as the Vice President of TNCA continuously. 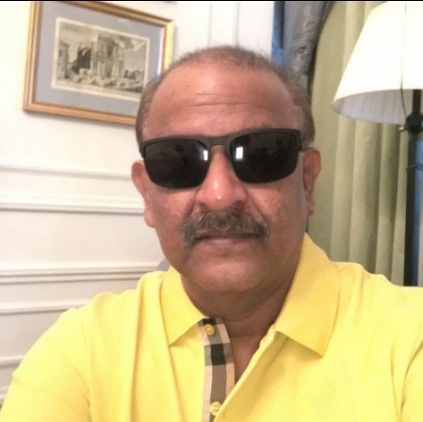 The Promoter of Kalpathi Group, AGS Entertainment and AGS Cinemas,he has also been patronizing the game for over a decade especially deserving cricketers. The Group sponsors three teams in the local TNCA league tournament.As a Producer, he has been tasting success in his endeavours such as Thiruttu Payale, Santhosh Subramaniyam, Madrasa Pattinam, Anegan and Thani Oruvan through the banner AGS Entertainment. Kabali seizes the top 2 slots! People looking for online information on Kalpathi S Aghoram will find this news story useful.